Editor’s Note: The National Association of Realtors recently posted on its website an extensive analysis of the recently passed federal Tax Reform and Jobs Act. The following are extensive excerpts of that analysis. WASHINGTON—The National Association of Realtors worked throughout the tax reform process to preserve the existing tax benefits of homeownership and real estate investment, as well as to ensure as many real estate professionals as possible would benefit from proposed tax cuts. Many of the changes reflected in the final bill were the result of the engagement of NAR and its members, not only in the last three months, but over several years. As a result of the changes made throughout the legislative process, NAR is now projecting slower growth in home prices of 1%-3% in 2018 as low inventories continue to spur price gains. However, some local markets, particularly in high cost, higher tax areas, will likely see price declines as a result of the legislation’s new restrictions on mortgage interest and state and local taxes. The following is a summary of provisions of interest to NAR and its members. NAR will be providing ongoing updates and guidance to members in the coming weeks, as well as working with Congress and the Administration to address additional concerns through future legislation and rulemaking. 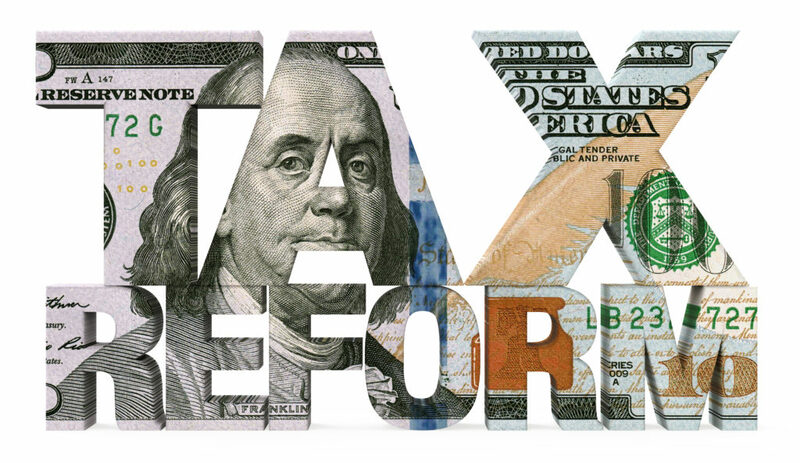 Lawmakers have already signaled a desire to fine tune elements of The Tax Cuts and Jobs Act as well as address additional tax provisions not included in this legislation in 2018, and Realtors will need to continue to be engaged in the process. The examples provided are for illustrative purposes and based on a preliminary reading of the final legislation as of Dec. 20, 2017. Individuals should consult a tax professional about their own personal situation. All individual provisions are generally effective after Dec. 31, 2017 for the 2018 tax filing year and expire on Dec. 31, 2025 unless otherwise noted. The provisions do not affect tax filings for 2017 unless noted. The Senate-passed bill would have changed the amount of time a homeowner must live in their home to qualify for the capital gains exclusion from two out of the past five years to five out of the past eight years. The House bill would have made this same change as well as phased out the exclusion for taxpayers with incomes above $250,000 single/$500,000 married. By doubling the standard deduction, Congress has greatly reduced the value of the mortgage interest and property tax deductions as tax incentives for homeownership. Congressional estimates indicate that only 5-8% of filers will now be eligible to claim these deductions by itemizing, meaning there will be no tax differential between renting and owning for more than 90% of taxpayers. The final bill includes the House and Senate language requiring a three-year holding period to qualify for current-law (capital gains) treatment. The final bill repeals the current-law 10% credit for pre-1936 buildings, but retains the current 20% credit for certified historic structures (but modified so the credit is allowable over a five-year period based on a ratable share (20%) each year). It seems clear that most real estate agents and brokers will be considered in a personal service business and would thus not normally qualify for the 20% deduction. However, NAR was able to help secure a major exception (the personal service income exception) in the final bill that will make it possible for many real estate professionals to be able to take advantage of the deduction. • This exception provides that if the business owner has taxable income of less than $157,500 (for single taxpayers) or $315,000 (for couples filing jointly), then the personal service restriction will not apply. • Above this level of income, the benefit of the 20% deduction is phased out over an income range of $50,000 for singles and an income range of $100,000 for couples. • The total of 25% of the W-2 wages paid by the business plus 2.5% of the cost basis of the tangible depreciable property of the business at the end of the year. The House and Senate started out with significantly different approaches to lowering the tax rate on qualified business income from sole proprietors and pass-through entities. The House bill featured a top rate approach while the Senate offered a deduction, which was set at 23% in the Senate bill. The House approach offered flexibility in allowing businesses with significant capital invested or wages paid. The final provision reflects a compromise between the different approaches. The provision generally follows the Senate proposal, but, at the request of the House, includes an additional factor related to the level of capital investment in the business. • A facility or portion of a facility used in connection with the above items.